A silent stranger moves in twilight shadows...It was more than her dream house. For Ellen March, buying the secluded old house nestled in the pine woods marked the start of a new life. Now she could put her failed marriage behind her, enjoy the quiet solitude of small town life, and get to know her worldly new neighbor, handsome Norman McKay... But strange visions began to cloud her mind - the shadowy figure of a woman, a ghostly white cat - and Ellen's safe haven slowly became her prison. Had she buried the past? Or had a dark legend come back to haunt her...? 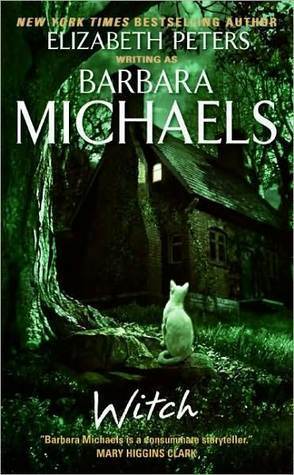 This has been my favorite Barbara Michaels novel so far. A ghost story, a lesson on mass hysteria, and a mystery, with a little romance thrown in for good measure. Once I got started, I couldn't put it down. A strong female main character dispels the Gothic critics who roll their eyes at many novels written in this era. There was nothing in here too dated, except for a few older feminist comments here and there, which were common in that era of time, but seem outmoded now. Otherwise, this a fast moving, suspenseful novel. These books can be found at Amazon and used bookstores. If you run across them, pick one up. You won't be disappointed. 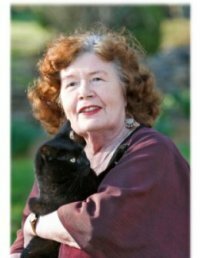 Barbara Louise Mertz was an American author who wrote under her own name as well as under the pseudonyms Elizabeth Peters and Barbara Michaels. In 1952, she received a PhD in Egyptology from the University of Chicago.